On Sunday 13 September, a wooden boat carrying more than 130 refugees and migrants sank off the Greek island of Farmakonisi. Thirty four people lost their lives, amongst them four babies and eleven children. The people who survived the shipwreck were brought by the Greek Coast guard to the neighbouring island of Leros. A Médecins Sans Frontières team from Kos was sent to Leros immediately to provide mental health support and medical care to survivors. "People are shocked and terrified by the experience." says Vangelis Orfanoudakis, MSF coordinator. “Numbed by the horror of the shipwreck and the worry about the other people in their group who they do not see around (easily assuming they are gone), they only cry all the time or seem detached from their surroundings." 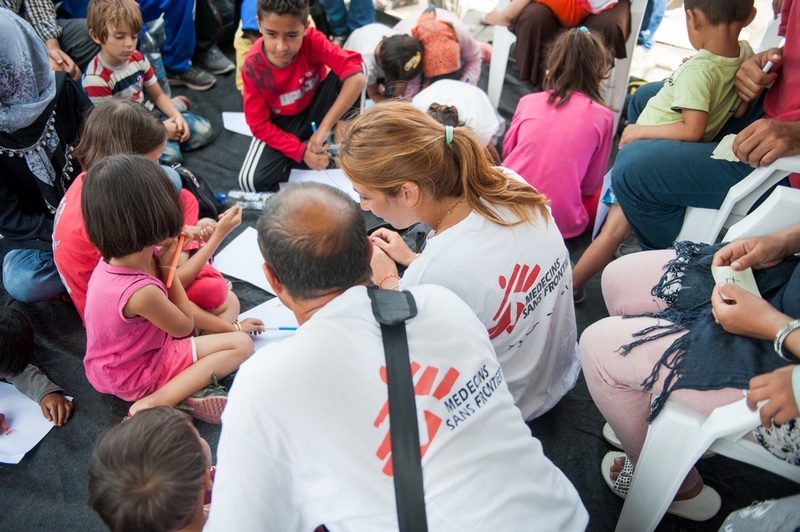 MSF psychologist Lena Zachou works together with Bashir a translator from Afghanistan at a programme set up for refugee children at the port of Mytiline. 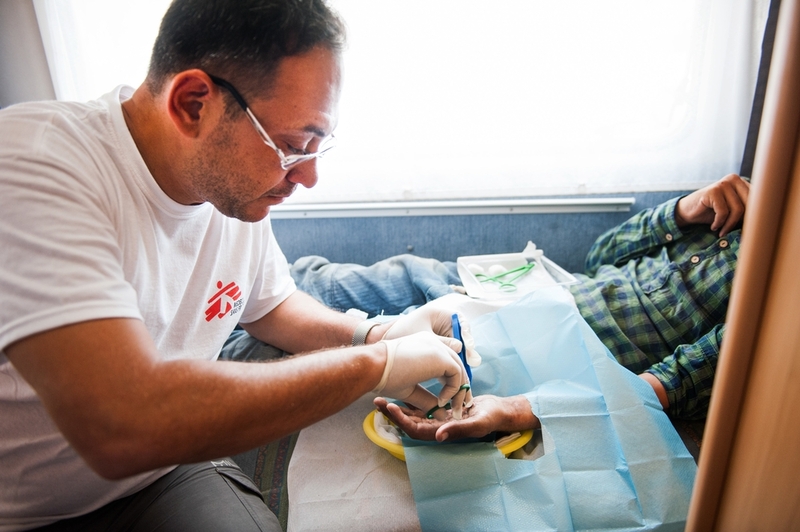 The MSF doctor and nurse have treated people with upper and lower respiratory tract infections often caused by sea water aspiration, acute laryngitis related to shouting and yelling for help, gastrointestinal diseases and injuries in upper and lower limps. As more refugees continue to arrive on the island of Leros from Farmakonisi island, the medical team is also providing medical care to newly arrived refugees and migrants. “People are dying every week while crossing the sea to reach Europe. They should not have to risk their lives to find protection and asylum." "Search and rescue efforts immediately need to be stepped up and the EU should provide safe and legal alternatives to these dangerous boat journeys“, says Orfanoudakis.